This booklet sets out in straightforward language what can be done for serious arthritis in the hip and knee, and what effects the treatment is likely to have. Using simple colour illustrations this book draws on the experience of patients and their families and gives you the answers you need to know. It also covers the hospital stay and getting back to normal. 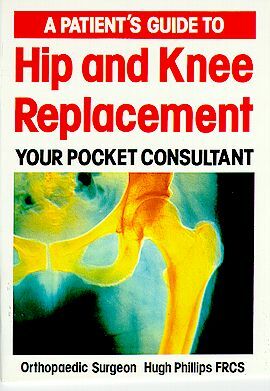 Essential reading for all patients who are currently waiting for joint replacement surgery. A guide for newly diagnosed patients, their families and friends, this little booklet contains information about Post Viral Syndrome - ME and gives advice on how to cope with the condition. The authors have taken the questions most frequently asked and have tried to give the best possible answers. The book has been endorsed by Professor Leslie Turnberg, past president of the Royal College of Physicians. This would be a good booklet to recommend to patients who are frustrated by their lack of progress and want to make sure they are doing everything possible.